The traditional Soviet interpretation was based on a strictly orthodox Marxist-Leninist-Stalinist approach. According to it, the October Revolution was the product of a clearly discernible, irresistible trend in Russian history. The capture of power had been meticulously planned by the Party, acting under the guidance of the omniscient, infallible Lenin. The Bolshevik triumph was the inevitable consequence of Russian domestic conditions and at the same time an integral part of the international struggle of the proletariat against the bourgeoisie, with the Russian comrades acting as a vanguard of the world proletarian forces. 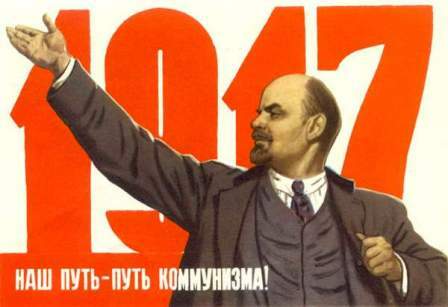 The Russian workers were victorious because, under the masterly leadership of Lenin and his Bolshevik party, they dealt a timely blow to the weakest link in the ‘chain of capitalism’. The ‘Great October Socialist Revolution’ ushered in a new era in the history of mankind, the era of Socialism, which would in turn develop into full Communism. In the former Soviet Union this approach was obligatory in the interpretation of Revolution. From the late 1920s until the late 1980s all professional historians, researchers, writers, teachers and students of the Revolution inside the USSR were compelled to operate within this ideological and methodological framework, which condemned all other interpretations as ‘unscientific’. The official view of the Revolution thereby played a legitimizing role in the monopoly of political power enjoyed until the late 1980s by the Communist Party of the Soviet Union. It consecrated October as a once-and-forever transmission of democratic legitimacy from people to Party which would rule for as long as it would take to reach Socialism, with no need for any ‘bourgeois’ renewal of mandate. The last Soviet leader Mikhail Gorbachev, for instance, until the very end, always spoke of ‘the socialist choice made in October’.